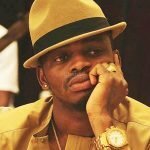 Tanzanian bongo star, Diamond Platinumz, might soon be a father to twins, outsourced from his US-based undercover lover. The claims were made public by a friend of Diamond´s Ugandan secret lover who confirmed the two are so deeply in love. The friend leaked the information to Ugandan social media influencer, Ritah Kaggwa. Furthermore, the friend attests to a recent video chat of the duo, that indicated there was some high level of chemistry between them. Through leaked information [from the friend], this is what we are able to fetch: According to the friend, Diamond´s US-based, Ugandan undercover lover, is heavily pregnant with his twins, thus demanding his physical presence. According to sources [through the friend], the duo has plans to conduct a civil marriage come May 2019, behind closed doors. The story is unfolding bit-by-bit, it would be wise to be patient. The post Leaked! Bongo star, Diamond Platinumz allegedly expecting twins appeared first on Ghafla! Kenya.